With the Philippines’ consumption-driven economic boom showing no signs of abating, modern retail enterprise are sprouting outside the capital. Some are new companies eager to make a mark alongside the country’s established conglomerates. DoubleDragon Properties is one of the up-and-comers. Back in April 2014, when it’s valuation was less than 100$m, the company listed on the Philippine Stock Exchange. In its first day of trading, the stock shot up by 50 per cent, hitting the bourse’s daily limit. Since then, it has continued to be a strong performer. 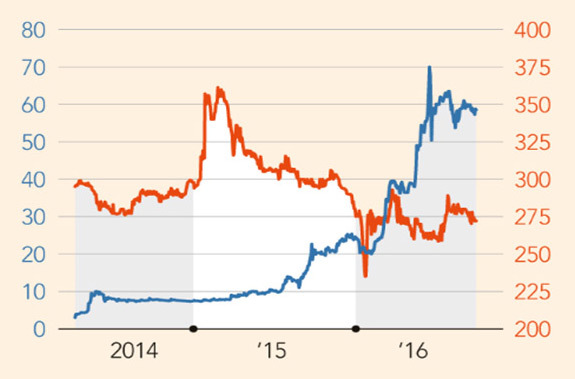 The share price on Friday was nearly 30 times the price at flotation. This year, DoubleDragon’s stock has surged 140 per cent, making it the best-performing real estate company in the PSE’s property index. The price has climbed in conjunction with the rise of Rodrigo Duterte, the country’s first president from the southern island of Mindanao who came into power in June. He has promised to boost economic activity in rural areas. DoubleDragon’s priority is the construction of 100 shopping centers, each measuring 5,000 to 10,000 sq meters, by 2020. As of June, the company had secured 53 sites for these CityMalls, as it calls them, but built only eight. Yet, even if some of the projects are behind schedule, its market capitalisation of 131.5bn pesos ($2.72bn) has eclipsed that of Robinsons Land – a unit of conglomerate JG Summit Holdings that has built 44 large shopping complexes and dozens of residential and office developments nationwide. DoubleDragon is led by Edgar “Injap” Sia, a 39-year-old businessman from Visayas in the central Philippines. The self-made entrepreneur is best known locally as the founder of Mang Inasal, a fast-food company that specialises in grilled chicken. When Mr. Sia started his entrepreneurial journey about a decade ago, success was anything but a foregone conclusion. Born to a Chinese-Filipino-Japanese parents that own a grocery store in Roxas City in Visayas central Philippine region, Mr. Sia dropped out to college to go into business. In 2003, he opened a grilled chicken eatery in the parking lot of a mall in Iloilo City, also in Visayas. Its chicken specialty, paired with unlimited rice, became a phenomenon, shaking up a fast-food market dominated by western-style-fried-chicken. In 2005, Mr. Sia established Mang Inasal as a franchise operation, creating the nation’s quickest-growing fast-food chain at the time. An encounter with Tony Tan Caktiong, the founder of Jollibee Foods, the Philippines’ largest fast-food group, proved to be a key turning point. The two men share Chinese ethnicity and were both born in the Year of the Dragon in the Chinese lunar calendar, albeit 24 years apart. The “two dragons” opened a dialogue about the future of Mang Inasal. Mr. Sia’s business was becoming a threat to Jollibee. Mr Tan Caktiong offered to take control. In 2010, Mr. Sia agreed to sell Jollibee a 70 per cent stake. This past April, he sold it the remaining 30 per cent. The transactions valued Mang Inasal at 5bn pesos. From Mr. Sia’s perspective, selling to Jollibee made sense on two levels. First, it would put Mang Inasal under the control of an experienced fast-food company that would nurture – rather than kill – his brand. Second, he needed the money to pursue his second dream: building a property and retail empire. 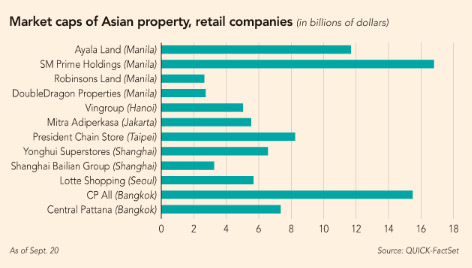 “I really like the [real estate] business, but it needs substantial resources,” Mr. Sia told the Nikkei Asian Review. In late 2011, after Mr. Sia relinquished management of Mang Inasal to Jollibee Foods, Mr. Tan Caktiong approached him again. He, too, had been eyeing real estate. Sometime in 2012, the pair mapped out a plan to transform Injap Land, an Iloilo-based developer, into DoubleDragon, a nationwide player. “We want to become one of the largest property companies in the Phillippines,” Mr. Sia said. While clearly ambitious, Mr. Sia is also pragmatic. 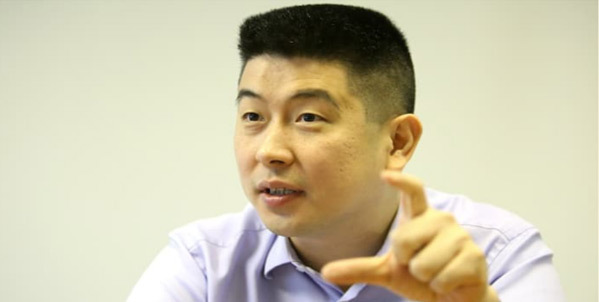 Before the IPO, he accepted an offer from SM Investments --- the Philippines’ largest conglomerate, owned by the Sy family --- to acquire a 34 per cent stake in City Mall Commercial Centers, the entity that runs CityMalls under DoubleDragon. This gave Mr. Sia two powerful backers: Jollibee, a giant on the Asian fast-food scene; and SM Investments, which owns top Philippine lender BDO Unibank, mall developer SM Prime Holdings and retailer SM Retail. All sides stand to benefit, Jollibee and SM Group see DoubleDragon and CityMalls as vehicles to tap provincial markets. As the principal shareholders of each company, Jollibee and SM will be priority tenants in the CityMalls. The malls are “barely in Luzon and mostly in Visayas [and] Mindanao, which are exactly the under-penetrated regions where we think we would like to grow,” SM Group consultant Tim Daniels was quoted as saying in a local media reports in 2014. 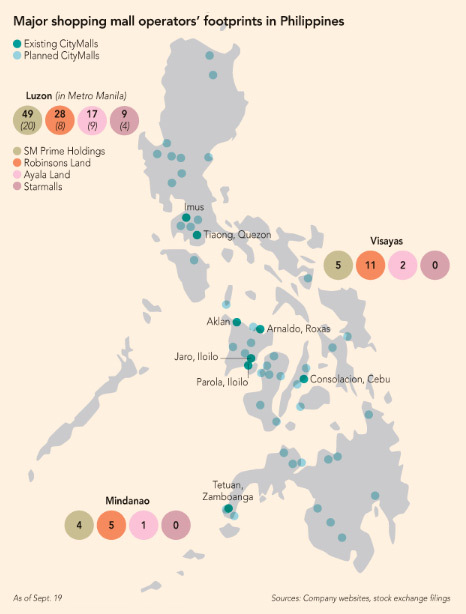 Mr. Sia is avoiding Manila and broader Luzon, where more established players have secured land strategically. Instead, DoubleDragon plans to open 70 per cent of its branches in Visayas and Mindanao. To this end, he is taking advantage of know-how gleaned from the expansion of Mang Inasal. The fast-food chain now has about 450 locations, many in the same outlying areas where Mr. Sia intends to build CityMalls. He sees Mang Inasal as a barometer of local readiness for a modern shopping experience. Like the chicken restaurants, CityMalls will be situated in places with large concentrations of people – near transport terminals and markets, for example. In 2015, Metro Manila’s annual economic growth rate of 6.6 per cent topped Luzon’s 5.4 per cent, Visayas’ 5.8 per cent and Mindanao’s 5.3 per cent. However, the Duterte government’s agenda for achieving “inclusive growth” is expected to brighten the prospects for rural region. The president aims to preside over annual growth in the 7-8 per cent range for the next six years, with provinces making a greater contribution than in the past. Since the Metro Manila market is maturing, established retail players are also eyeing opportunities in the provinces. Their strategies vary. SM Retail is building its own shops while tapping CityMalls to expand its network. Robinsons Retail Holdings and Puregold Price Club, the second and third-largest players, are in a race to acquire provincial retailers with a couple of branches. Meanwhile, around 70 per cent of the retail sector remains informal, with myriad mom-and-pop shops. There are also independent provincial shopping centre operators running scattered locations in first-tier cities. Of the 145 cities in the Philippines as of June 30, a third were so-called “first class” municipalities, meaning they have annual revenues exceeding 400m pesos. When it comes to creating a strategic network of shopping malls in the first-tier cities, Mr. Sia hopes to be a step ahead. He envisions CityMall as one-stop shops for daily errands. He said he did not intend to compete with bigger malls, where customers often spend the whole day on weekends, for dining, shopping and entertainment. “The transitions from the traditional unbranded fast food to modern fast food [was] already done in the Philippine provinces a decade ago, “Mr. Sia said. “The transition from traditional retail to modern retail in the provincial areas has just started, and is expected to be completed in the next few years.” Mr. Sia hopes to spearhead this new phase of retail industry through the expansion of CityMalls in the provinces. Still, while the stock market is cheering Mr. Sia’s strategy of focusing on Visayas and Mindanao, DoubleDragon does face its share of challenges. Some analysts argue the company is overvalued, partly because most of its investors are retails investors, who tend to play up stocks. It was only in July last year that DoubleDragon managed to attract long-term institutional investors, and it may need to do more to improve its credibility with bigger funds. “The price is not warranted at this time,” said Richard Laneda, an analyst at COL Financial in Manila. The company’s first-half net income rose 16 per cent to 144m pesos, as revenue jumped 15 per cent to 706m pesos. It is targeting net income of 4.8bn pesos by 2020. DoubleDragon’s price-earnings multiple is 100, higher than those of SM Prime and Ayala Land, which are both trading around 30, noted Luis Limlingan, managing director of Regional Capital Development. Anton Alfonso, an analyst at RCBC Securities, warned that Visayas’ and Mindanao’s under-developed infrastructure could hamper DoubleDragon’s mall network build-up. Convenience store chains looking to expand there have faced similar challenges. Despite some delays in branch openings, Mr. Sia said the company was confident it would meet its targets. “We should be able to announce the next phase of our business in the next few years,” he said, adding that DoubleDragon is open to overseas opportunities as well. To be sure, DoubleDragon has the Philippines’ consumption-driven growth going for it. Consumption generates two-thirds of the country’s gross domestic product, and projections indicate the economy should keep expanding by an average of over 6 per cent for the next six years on the back of steady remittances from overseas Filipino workers and a growing business process outsourcing industry. Mr. Sia is hardly the only new-generation entrepreneur looking to ride this wave. Steve Benitez, from the central Philippines island of Cebu, hopes to turn his Bo’s Coffee chain into the world’s next Starbucks. It currently has 60 domestics branches. Ben Chan, another self-made entrepreneur, is building an apparel company, Bench and is taking it into other Southeast Asian countries and China. Then there are the heirs who are taking the reins of their family business. In 2015, Puregold Price Club appointed the son of founder Lucio Co, Ferdinand Vincent, as chief executive, Puregold’s parent company, Cosco Capital, plans to compete with Mr. Sia in the community mall segment. In Southeast Asia huge family businesses, conglomerates and state-owned companies still dominate the region’s economies. While it remains to be seen whether Mr. Sia will accomplish his ambitions, the new-generation entrepreneurs will be key in taking the region to its next stage of growth. 2003: Edgar “Injap” Sia, college dropout, opens first Mang Inasal (Mr. Barbeque) outlet in 250-sq meter space at car park of Robinsons mall in Iloilo, his home province in Central Philippines. 2005: Sia opens Mang Inasal for franchising, triggering its rapid expansion. 2009: Mang Inasal branches break 100 mark. 2011: Sia relinquishes management control of Mang Inasal to Jollibee Foods. January 2014: DoubleDragon files for IPO to fund establishment of 100 community shopping centers. 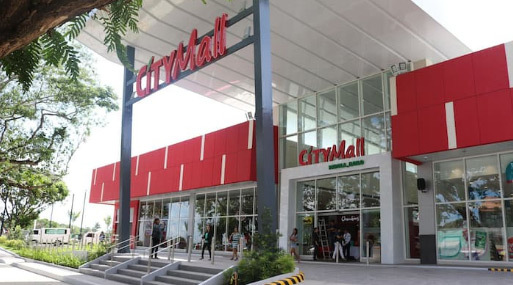 February 2014: SM Group buys 34% stake in CityMall Commercial Centers, community mall arm of DoubleDragon. April 2016: Jollibee Foods buys out Sia’s remaining 30% in Mang Inasal for 2billion pesos. June 2016: Double Dragon secures 53 sites, announces opening of eight CityMalls. 2020: DoubleDragon eyes completion of 100 community shopping centers, mostly in Visayas, Mindanao, becoming Philippines’ biggest shopping center company by number of locations.